V-SNAP (Valerie's Spay/Neuter Assistance Program), which funds or subsidizes the cost of spay/neuter surgeries for low-income families and families on government assistance. Pet Food Bank, which collects and purchases pet food to distribute to families in need. 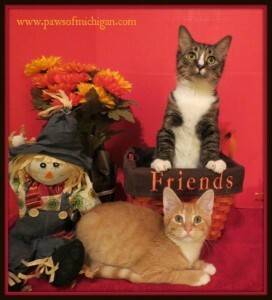 The PAWS Clinic, the affordable spay/neuter clinic that was launched by P.A.W.S. of Michigan. Donatins to this fund will be forwarded to The PAWS Clinic.